It is no secret that Cicero IL residents love their home. 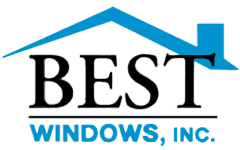 From the time and attention they give their property to the friendliness experienced throughout the community, we at Best Windows Inc. know that this is a special community. This is one of the reasons why we are providing a free window replacement quote. 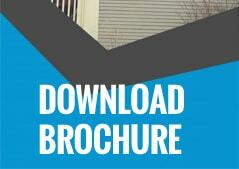 Cicero IL residents will be able to take advantage of an amazing deal while also saving big. So, what can a free window replacement quote do for you? It should be said that when we provide you a free quote, it is entirely on the house. We will not try to pressure you into using our services, and we will understand if you want to use a different company. That being said, getting new windows can have a dramatic effect on your home. First, new windows means saving a great deal of money on heating and cooling costs. When our experts come to your home for a free quote, they will look to see what the quality of the windows are like, including where there may be heat loss. Simply replacing the windows and window frames might save you a great deal of money every time you pay for heating and cooling. Second, new windows means increasing the salability of your home. Besides having to pay less in monthly heating and cooling costs, new windows represent an investment and update of the house. The end result is that you can usually sell your home for more as a result. Third, new windows are significantly easier to clean then older windows. In addition, they are far less prone to ware and tare, and will not break apart like many of the original windows found in Cicero IL homes. What Technologies Make Our Windows the Best? Here at Best Windows Inc. we pride ourselves in making use of the newest and most exciting technologies in window design. The windows we provide are NFRC U-rated .27 or below, are low E coated glass filled with argon gas, include a tilt-in feature for easy cleaning, and include triple weather stripping in sashes for less air filtration. If you are interested in a free window replacement quote Cicero IL, then please do not hesitate to contact us. We will be more then happy to schedule your free window inspection as soon as possible. Contact us today for a free, no-nonsense quote at (708) 204-2446 or click on our contact form for a super fast response!. You can also visit our website Bestwindows.net to know more about free window replacement quote Cicero IL.